Governor Ricardo Rosselló Nevares´ new bet for the Public Safety Department is Elmer Román, a decorated US Navy captain, a native of Yauco, who will seek to handle the delayed integration of the seven different bureaus that are part of the agency created in 2017. Román will replace current DSP head Héctor Pesquera who will leave the agency at the end of the month to dedicate more time to his family, as he publicly explained. Pesquera was the focus of multiple controversies, including problems in the handling of corpses in the Forensic Sciences Institute, absenteeism of the so-called "blue flu" in the Police, the lack of human resources in the Fire Department and the hurricane-related death toll. Yesterday, when the Governor presented him as Pesquera´s replacement, Román avoided comments on the problems in the agency. He said he will aim to understand and evaluate the issues of the bureaus. He noted that he hopes to consult the agency´s priorities with each of the commissioners. Román said he would like to have the opportunity to talk more in depth with the commissioners about their priorities are. At a press conference, governor Roselló Nevares said that the captain is a manager and that he has management experience. He added that Román needs to digest the information to give granular answers (to problems in the bureaus) and that he has not received all the agency´s information yet. Román will earn about $ 180,000 a year. This is less than Pesquera´s $ 248,000 salary but much higher than the $ 80,000 of a police chief average pay. The Governor suggested that Roman was helping the government of Puerto Rico by accepting a $ 180,000 salary when he could make much more in other positions. Rosselló described Román as a “global caliber” professional and thanked him because he could remain in the U.S. where he had a better income and instead “he comes here to help his homeland by joining the Department of Public Safety." “I am here because my heart tells me that I have to be here. It was an honor when the governor told me he had an opportunity for me,” said Román. The Governor said he met Román while working in his government platform "Plan for Puerto Rico," and they held meetings with members of the Puerto Rican diaspora in Washington D.C.
Rosselló Nevares indicated that once he knew that Pesquera would resign, he invited Román to be part of his government. The governor tweeted a photo with Román and the Puerto Rico Federal Affairs Administration Executive Director, Carlos Mercader on February 24, indicating that they were at a meeting to discuss initiatives to strengthen security in the Caribbean. Román said that the mission he was entrusted involves three major areas: bureaus integration, the modernization of operations and what he called the "reconstitution of force". He used this concept in referring to policies aiming at a better treatment to police officers and employees, and he mentioned better salaries and recognition of the agency´s work. 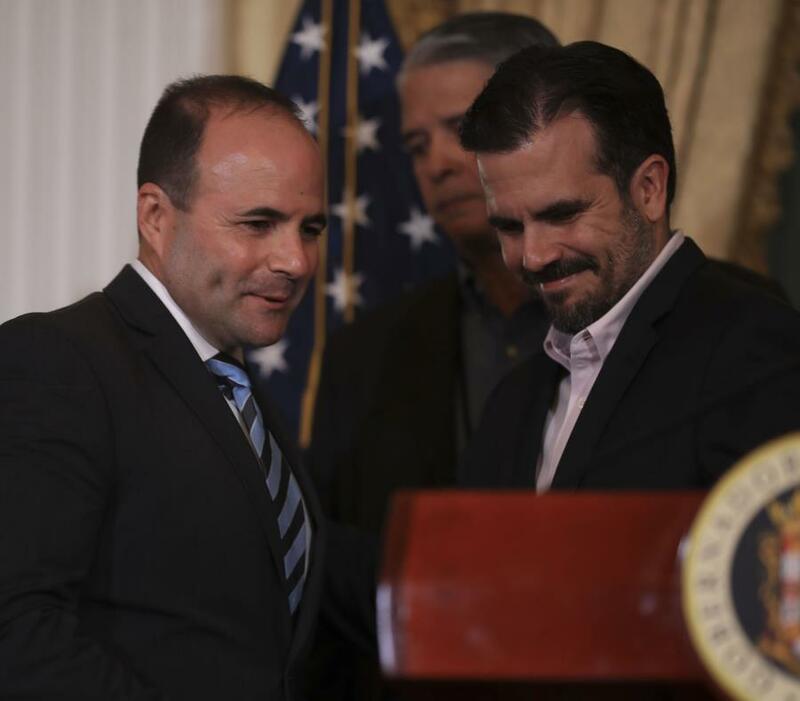 Despite the fact that Pesquera will not leave the agency until the end of the month, Rosselló expects the Senate to immediately start considering the appointment of Román to the DSP. The Governor said that he will be submitting the appointment since the current secretary already announced his departure at the end of the month and added that once the Senate has the information they can start considering the appointment to reach a decision before Pesquera leaves the agency. On the other hand, New Progressive Party (NPP) Senator Henry Neumann, who will evaluate the appointment, said today Román will meet with the NPP majority caucus in the Senate. "That's what I've been told," said Neumann, who showed himself impressed with Román´s experience. "After that meeting, I would seek to sit privately and listen and ask him some questions," Neumann stressed. Neumann said he perceives "a sense of urgency" from Senate President Thomas Rivera Schatz to comply with Román's evaluation process before April 30, when Pesquera leaves office. The governor added that Pesquera has already spoken with Roman to begin the transition in the DSP, an issue that will be addressed during the remaining stay of the outgoing secretary. Román currently serves as director of Joint Capability Technology Demonstrations (JCTDs) and team leader for Mission Integration in the Office of the U.S. Assistant Secretary of Defense. The captain mentioned several times that he is a product of the Puerto Rican public education system. He holds a bachelor's degree in Mechanical Engineering from the University of Puerto Rico at Mayagüez and a master's degree in Systems Engineering from the Polytechnic Institute and the Virginia State University. Román's appointment reaches the Senate after the controversy between the Executive Branch and that legislative body over Eleuterio Álamo's interim position as the Education Department. Although Álamo was not the person in line in Education, he seemed to be the Governor´s candidate to replace Keleher. Now former Secretary of Education Julia Keleher signed an administrative order designating Álamo as her successor, an issue that was not accepted by NPP government senators, who passed a resolution rejecting the process. Later, Luis Rivera Marín, acting as interim Governor, issued a communication for the Senate to evaluate Álamo as interim secretary. As he did not have the votes, so La Fortaleza withdrew the proposal. This led Education Undersecretary Eligio Hernández to hold the position of the agency´s interim secretary. Reporter Javier Colón Dávila collaborated with this story.